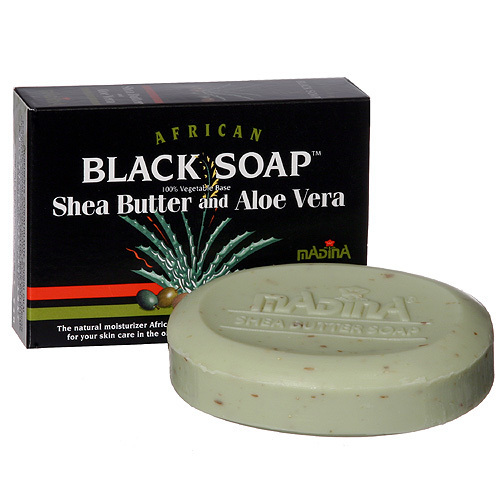 The natural moisturizer African Shea Butter and Aloe Vera enriched soap for you skin cares in the original fashion. Suitable for all skin types. INGREDIENTS: SODIUM PALMATE; SODIUM PALM KERNELATE/SODIUM COCOATE; WATER; FRAGRANCE; AFRICAN SHEA BUTTER; GLYCERIN; ALOE VERA GEL; BRAN; ROLLED OATS; PENTASODIUM PENTETATE; TETRASODIUM ETIDRONATE; TITANIUM DIOXIDE; D&C GREEN #5.